Roof & Attic Ventilation - Roofing - L.E. Schwartz & Son, Inc. Proper ventilation is important for many different reasons. Not only does it help the asphalt shingle last longer, it also helps with your cooling costs in the summer and remove moisture in your attic to help limit the growth of mold in your attic. Proper attic ventilation systems have a continuous flow of outside air through the attic. The colder air from outside comes in through the eave vents and the hot air exhausts through the roof vents. A well balance proper attic ventilation system will help lower the temperature in the attic space. The most common and efficient type of attic ventilation consists of eave vents and ridge vents. The U.S. Federal Housing Administration recommends a minimum of 1 square foot of attic ventilation for every 300 square feet of attic space. Both the eave vents and ridge vents are calculated in the square footage of attic ventilation. The best situation is to have an equal balance of ventilation between the eaves and ridge. On a majority of the roofs we install we are able to use the ridge vent and eave vent system. The best ridge vent is a shingle over ridge vent. We use the GAF Cobra 3 ridge vent. Cobra 3 is part of the GAF Lifetime Roof System and is a key component for both the System Plus Warranty and Golden Pledge Warranty. Not only does the Cobra 3 help ventilate your attic it also makes the roof look better. 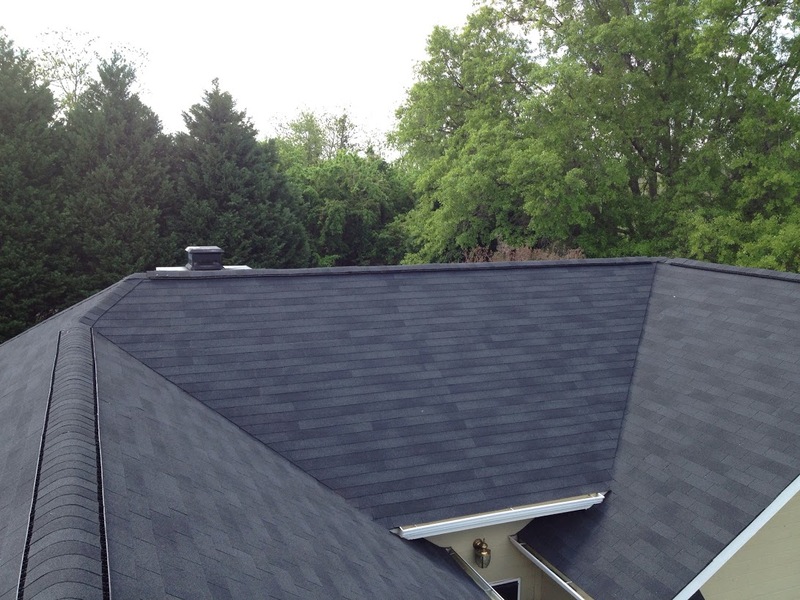 We can install ridge shingles over the top of the ridge vent to it blends into the ridge line. Specially designed louver spacing help keep insects out. Installed properly, it will withstand 110mph wind driven rain. 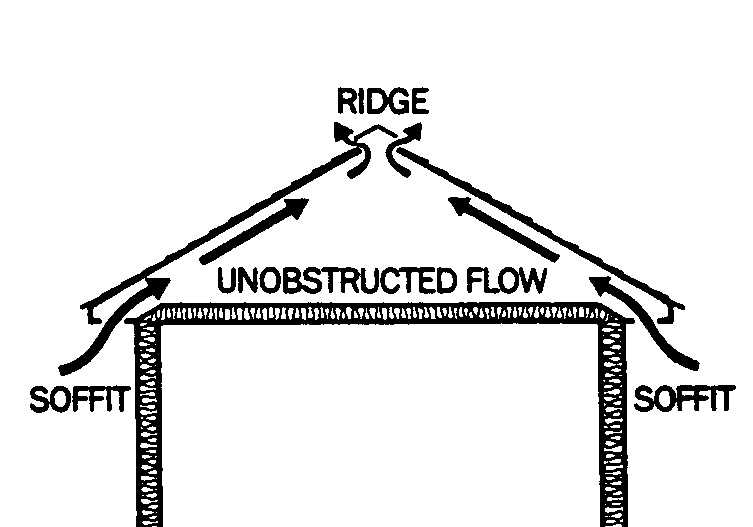 In some cases there is not enough ridge for ridge vent. This typically happens when there is very little ridge and many hips on the roof. There are many different options when this becomes the situation. It is still important to have a balanced system between the eaves and ridges. Powervents, turbine vents, and off ridge vents are different types of attic ventilation you can use when ridge vent is not possible. One type of ridge vent we avoid and don't use is metal ridge vents. Metal ridge vents, in most cases are installed using roofing nails. Over time the nails back out and the ridge vent blows off. 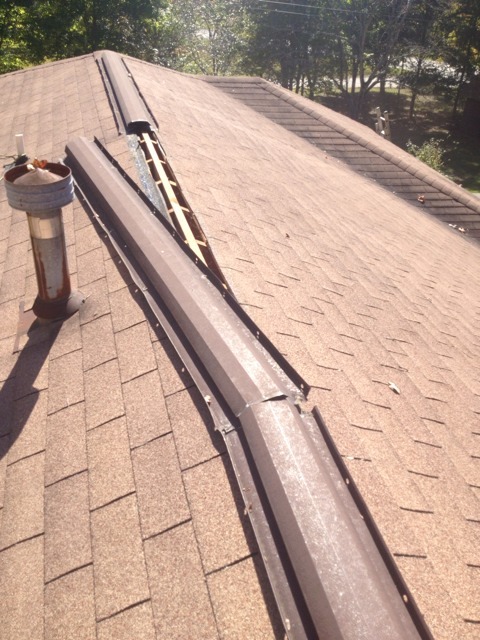 We have replaced many metal ridge vents with shingle over ridge vents. And if they don't blow off, the paint finish after about 8-10 years starts to fade and peel off, making them an eyesore. Many of our competitors in Macon and Warner Robins continue to use metal ridge vents. They are less expensive but the savings are not worth it in the long run. Shingle over ridge vents are the best value when it comes to attic ventilation. Call the Professionals at Schwartz Residential Roofing to assess your attic ventilation and see if we can help you save money on your energy bill.